When Is A BMW Not A BMW? 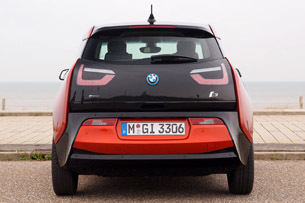 The i3 is in no way a track-ready performance model. 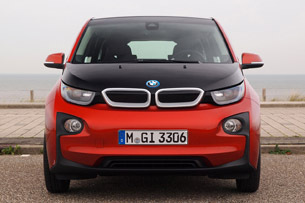 For our purposes, we'll use this question to mean, does the i3 behave like other Bavarian cars, other BMWs? The short answer is 'no.' Skip to the next section if that's all you care to hear. The long answer gets a bit complicated. I'll admit up front that, as the resident green car guy at Autoblog, I don't drive many BMWs. There are some - the small diesels, mostly - that I'd love to spend more time with, but if you're talking about the M models or other performance-focused cars, then that's not something I know much about or can really compare the i3 to. Even so, it became clear in the first few minutes behind the wheel that the i3 is in no way a track-ready performance model. Early in the drive, I gunned it around a corner, only to have the rear tires stutter jump their way around the bend. It wasn't a tremendously terrible feeling, but it was quite surprising. The BMWs I have driven haven't slipped like this. 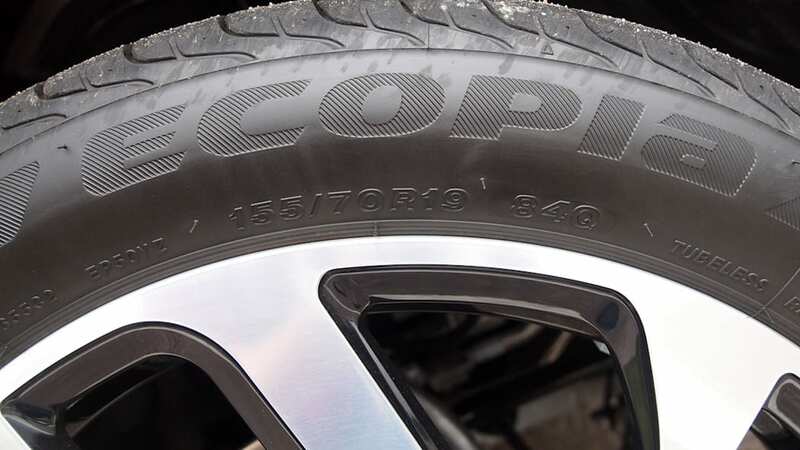 Perhaps the tall, 19-inch wheels and narrow Ecopia 155 70R90 tires – just 6.1 inches wide – are to blame. 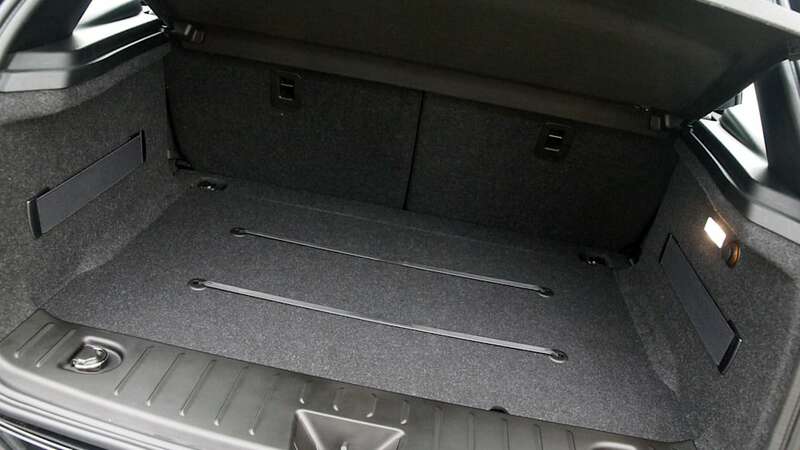 Not that they're bad tires, they just don't have the contact patch required for the tremendous torque coming from the electric power train, or maybe the traction control system needs more tweaking. Maybe there was something wrong with the road, we thought, then slowly discounted that option when we were able to reproduce the hops throughout the day. Sure, once it happened the first time, we did keep trying to make it happen, but the fact remains that it's not too hard to make the rear wheels stutter when turning a corner. We think the 7.2-second 0-100 kilometers per hour (62 miles per hour) acceleration from the single-speed, fixed-ratio transmission will not be disappointing to the majority of people who get to drive an i3. 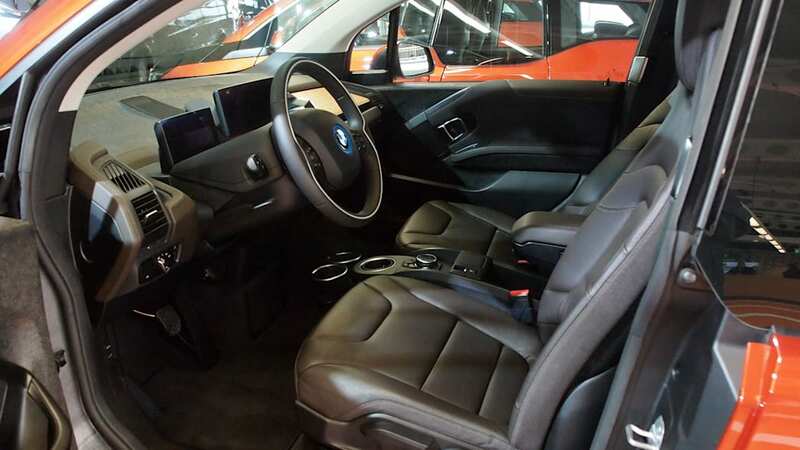 That is, it won't be disappointing if you either keep the i3 in Comfort mode, where pressing on the pedal in a normal fashion produces decent acceleration, or use the EcoPro (which flattens out the throttle curve) or EcoPro+ (which also eliminates the air conditioning) modes that require a stomping of the pedal to override their gentler acceleration, a handy and fun feature. If you let the car dictate your rate of climb up the speedometer in one of the EcoPro modes, it's at least not pure frustration. One final acceleration quirk: when you're in an EcoPro mode, if you press the accelerator hard, a little icon showing a pedal, a foot and an up arrow lights up on the dashboard, encouraging you to quit the shenangians. 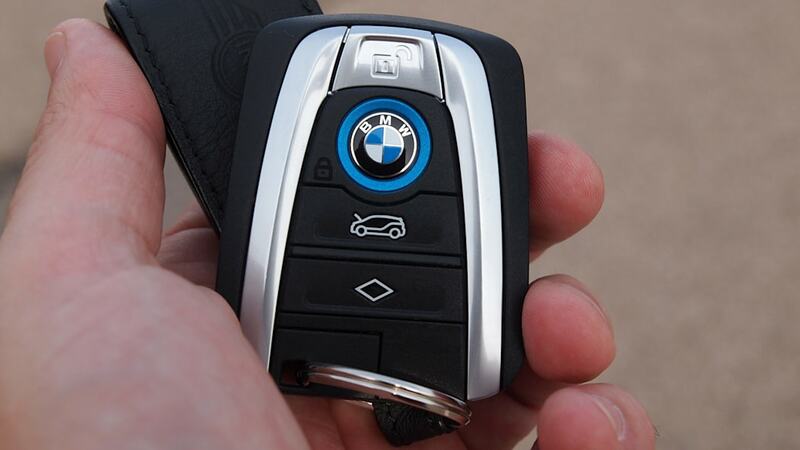 It's practically the icon for "this isn't your typical BMW." The regen brakes ... will bring you to a complete stop even while rolling down a hill. What is incredibly cool is the i3's deceleration. If you know the history of the Megacity project and BMW's EV test fleets, then you know that the Mini E (arguably a very, very early prototype for the i3) had a tendency to choke you with your seat belt when you took your foot off the accelerator. 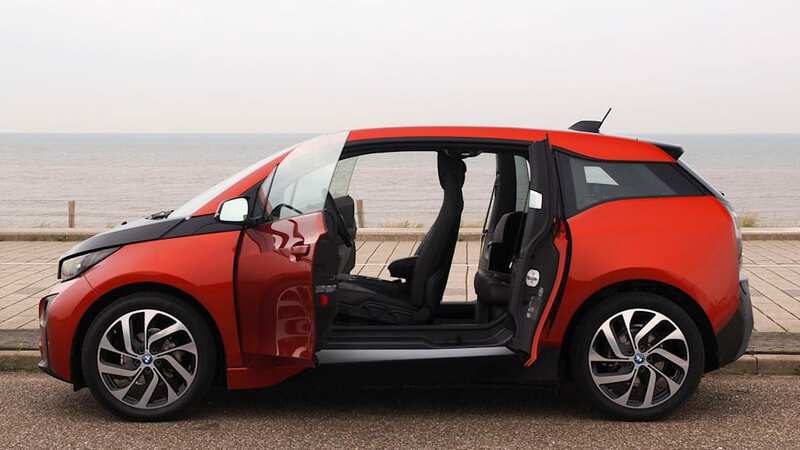 The i3's regenerative brakes aren't that aggressive, but it's incredibly easy to do one-foot driving. After just a few kilometers behind the wheel, we were more than comfortable with how the brakes operated, and it became a fun challenge figuring out when exactly to step off the accelerator to let the car bring us to a complete stop behind the car in front of us without any brake pedal application. They are smooth as silk, too, since all of the braking is done by the generator. 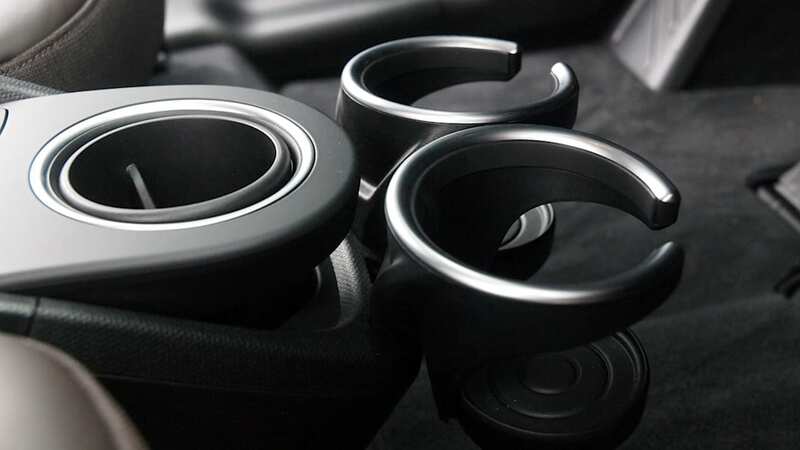 There is no friction braking involved unless you physically press the brake pedal and ask for a quicker stop than the regen system can provide. 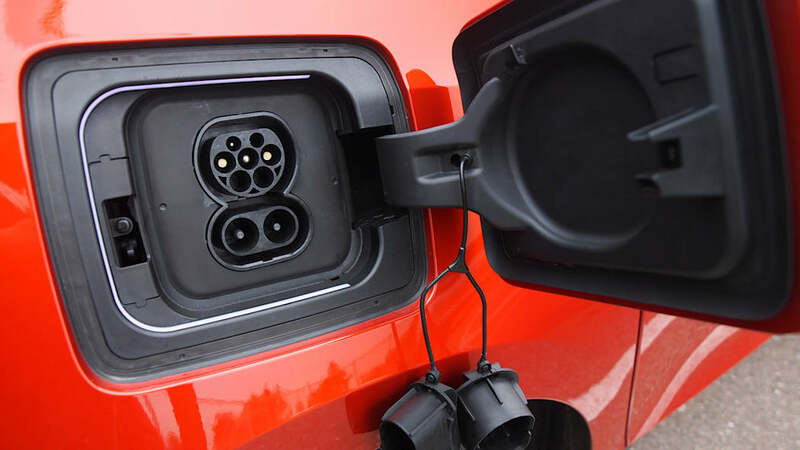 This is how the system works even if you're traveling at the i3's electronically limited top speed of 150 kilometers an hour (93 miles per hour). In fact, the regen brakes are so ready and willing that they will bring you to a complete stop even while rolling down a hill. We were completely surprised when we discovered this. On the other hand, the sensitive regen brakes also made it difficult to coast. There is a sort-of glide mode, but the only way to tell you're in it is by looking at the bottom of the speedometer screen where the charge/acceleration meter is. If the segment in the bottom middle is lit up, which still requires some pressure on the pedal, then you're coasting. If you back off even a little, the car slows down. As you may guess, there is no creep whatsoever. The cabin is a bit noisier than we expected when you approach highway speeds. It's not loud, but you can hear the motor whine when you put the pedal to the floor, and you hear it well before you hit 100 kph. The fastest we went was 134 kmh, and everything felt stable – if louder – at that speed. 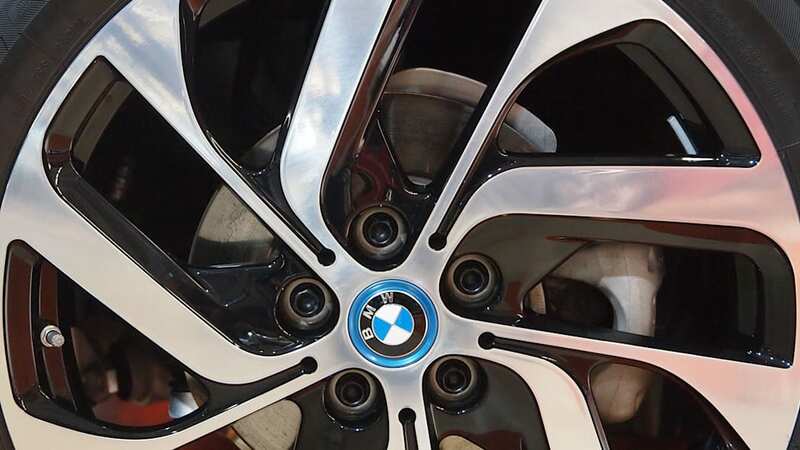 We didn't go that fast all that often – the drive route BMW planned out for us was noticeably lacking long highway stretches – and at normal speeds, whether driving over bumpy bricks or country roads, there were zero serious vibration issues in the cabin. We did most of our driving in Comfort mode, which the car defaults to every time you turn it on. 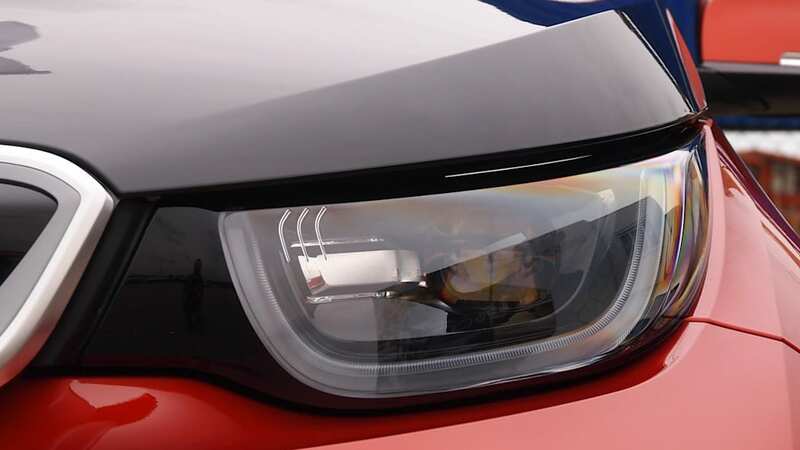 There was much discussion in the i3 engineering team's meetings about whether this was the right approach, we learned, showing once again that BMW put a lot of thought into exactly how this vehicle operates. The balance between acceleration and range and speed and everything else was the product of many meetings. Think of it as a new definition of the "Ultimate Driving Machine." We could tell BMW was confident of the range because no one ran around charging the vehicles during the lunch stop. This is really a question about the powertrain. 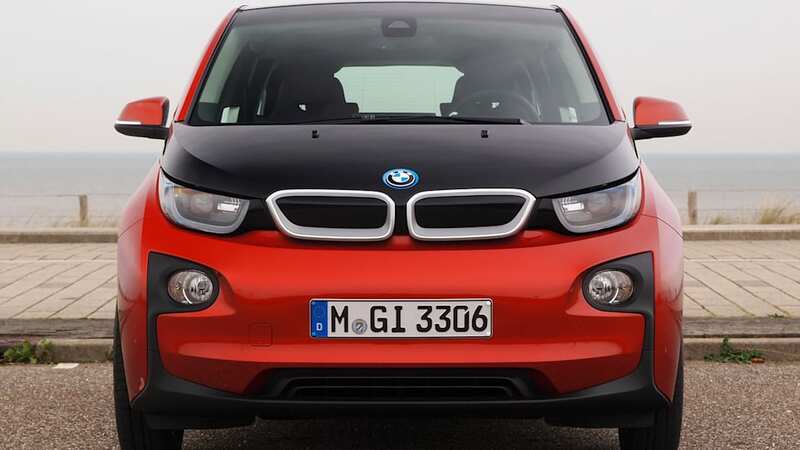 This is where, again, the i3 is unlike any BMW that has come before. In German, the "Motoren" in the company name does mean motor, but in English we'd actually say engine. 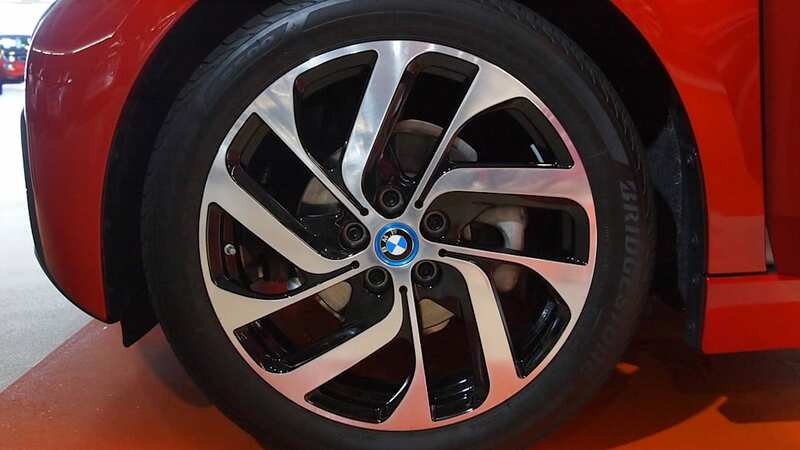 That's because we use motor to refer to an electric-powered motivational device, like the hybrid synchronous electric motor we find between the i3's rear wheels. 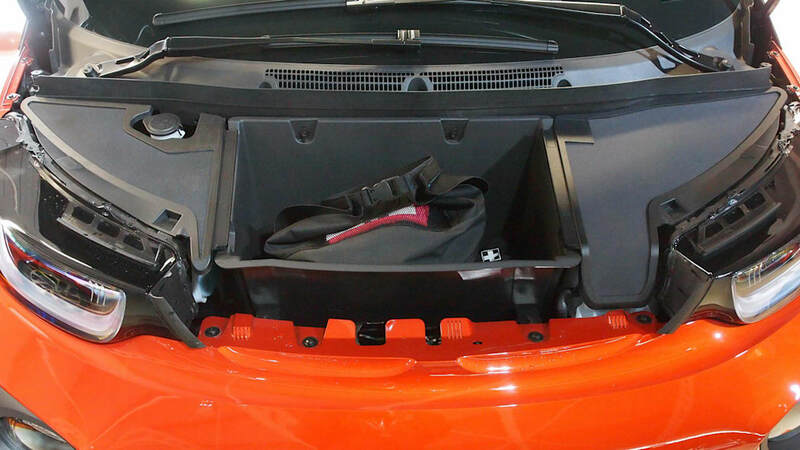 This compact box offers a maximum output of 125 kW / 170 horsepower and 184 pound-feet of peak torque. Those numbers don't sound very BMW (the non-M 2013 1 Series with a 3.0-liter engine puts out 230 hp and 200 ft-lb of torque), but remember this is a lightweight, carbon-fiber car with a 1,195-kg (2,635-pound) curb weight (DIN). So, does a BMW have to have an internal combustion engine (ICE)? Was the ActiveE a BMW? 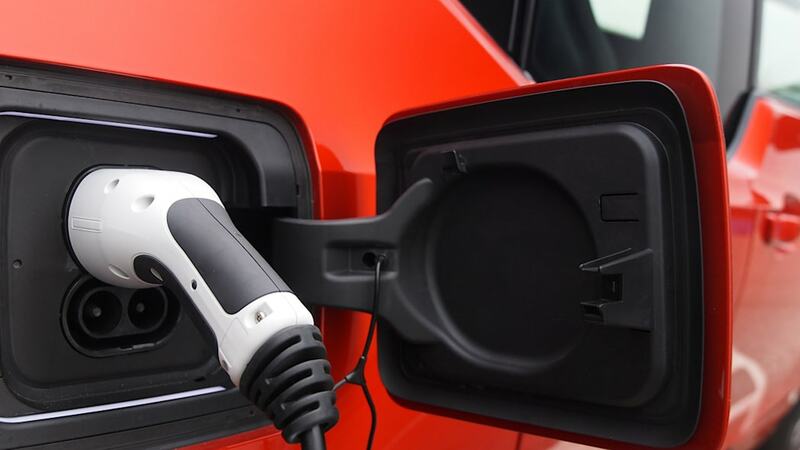 We're certain that some day the power source in a vehicle will not be its defining factor (we can see this happening somewhat with the Tesla Model S), but for now electric cars are EVs first, and then something else (practical, luxury) second. 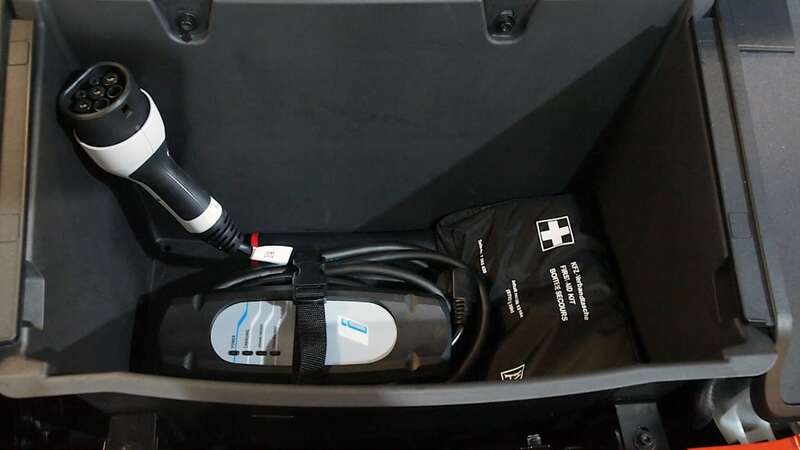 The other part of the powertrain is the i3's 22-kWh lithium-ion battery pack (18.8 kWh useable), supposedly good for 80-100 miles in daily driving. No official EPA numbers have yet been released, but BMW says the lenient European cycle offers 190 km (118 miles) of official range. 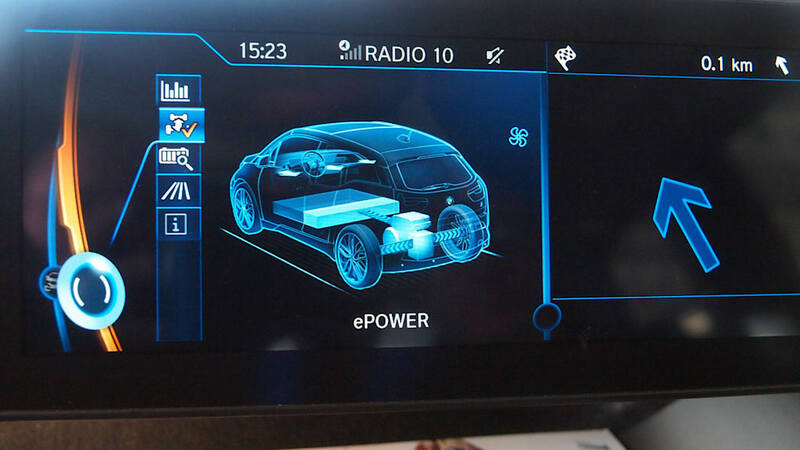 We could tell BMW was confident of the range because no one ran around charging the vehicles during the lunch stop. On our drive, we started the day with 133 km (83 miles) of range on the display. After a 44.6-km (27.7-mile) drive, we had 94 km (58 miles) left on the battery. After a break, we drove another 48 kilometers (30 miles) and turned the car in with 37 km (23 miles) left. We think that's plenty good for daily commuters. For anyone who wants more, there will be a range-extending ICE available in the i3 (for just under $4,000 in the US) that will roughly double the overall range - but also reduce the EV-only range to 170 km (106 miles) and change the 0-62 speed to 7.9 seconds. Sadly, BMW did not have any gas-assisted i3's on hand for us to drive in Amsterdam, so we'll have to wait to see how the additional weight and noise of a liquid fuel motor plays with the cabin sounds and driving style. So while the powertrain is indeed brand new and interesting, anyone who defines a BMW simply by the way it drives is going to come away confused. It's not that driving dynamics don't matter, but they matter a lot less when you're moving slowly through a city. And that's where the i3 simply shines. Again, please forgive our slightly mistranslated German. "Werke" actually means factory or plant and is not the verb that means it's functioning properly, but "Is it a factory?" is not a literary device that's going to get us very far. So, let's ask if the i3 "works." The short answer is 'yes.' The long answer is going to be one of personal preference and lifestyles, but we think a lot of people will come to the same conclusion we did. The most remarkable thing about the interior is how calming it is to drive. While we were constantly cursing the navigation system's eagerness while trying not to get lost, we never felt agitated. This will be a godsend on the 405 through Los Angeles when these go on sale in California next year, starting at $41,350 (we drove Euro-spec models, but the 2014 US model will have only minor changes). It's almost like there are two cars, a small one on the outside and a big one on the inside. At various times, we heard the interior described as a living room, a couch and an apartment on wheels. 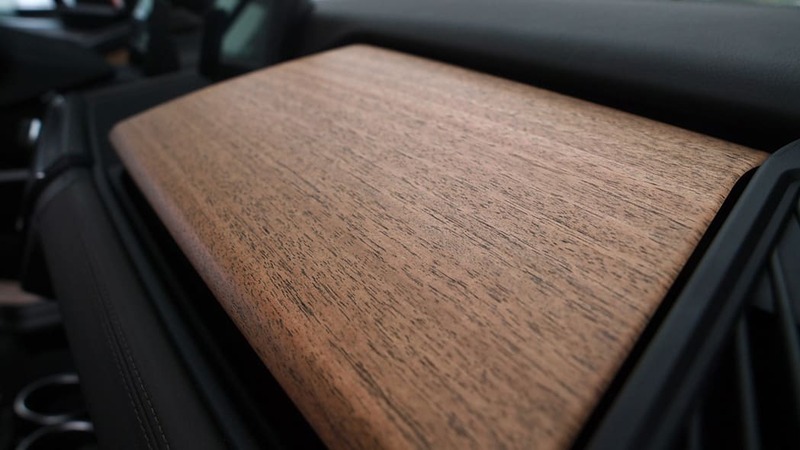 My co-pilot called it a German interpretation of a modern Scandinavian interior, and it's easy to see why, especially in the trim line with a wood dashboard. 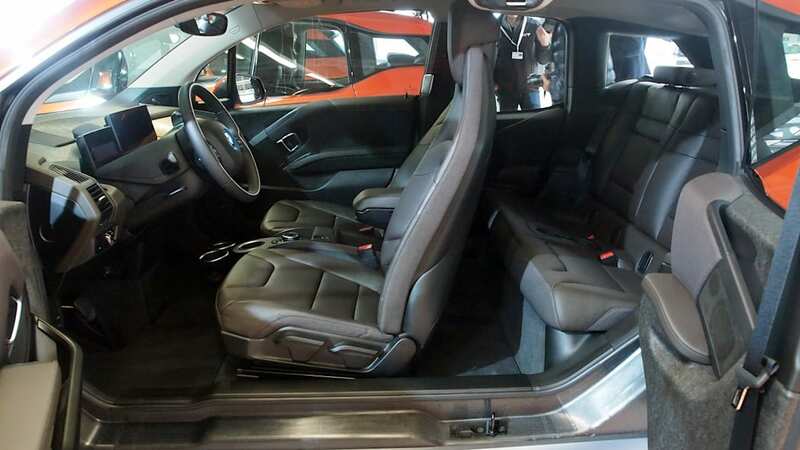 The i3 is squat but still feels tremendously roomy inside. 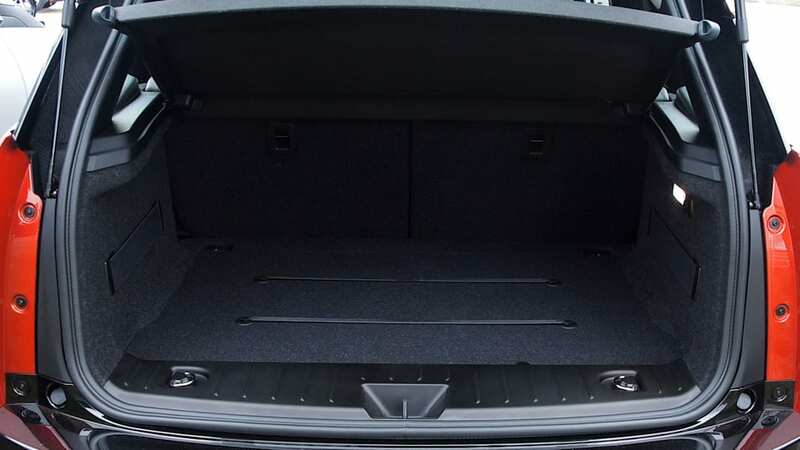 There are acres of space between driver and passenger, yet the car is nimble, with a turning radius of just 9.86 meters (32.3 feet, same as the Fiat 500). Whenever we needed to navigate a random Dutch city corner or maneuver around a herd of bicyclists, it was an easy thing to do. 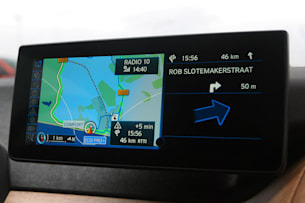 Visibility is good and you can easily move the i3 to where you want it to go. It's almost like there are two cars, a small one on the outside and a big one on the inside. The two dashboard screens float in space, adding to the airy feel. The seats, too, are as thin as supermodels, yet comfortable like someone with a little more meat on their bones. There are no B-pillars, but it feels like there are when you're inside since they were really just moved to the door. 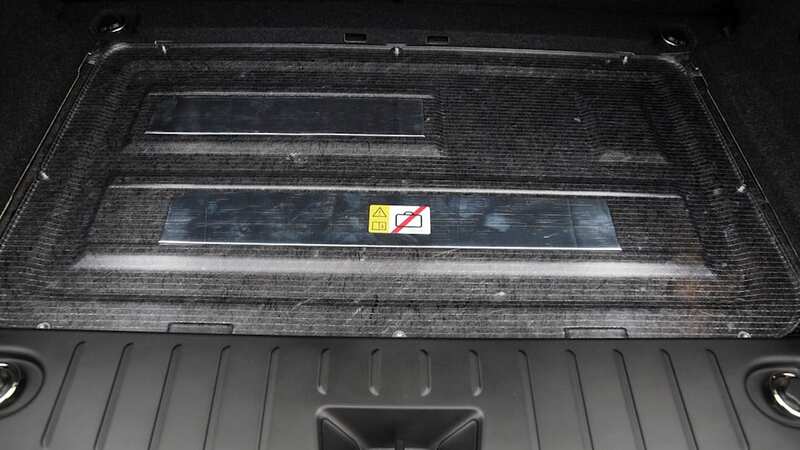 In practice, what this means is that if you're in the rear seat, you need to wait for the front door to open to get out. 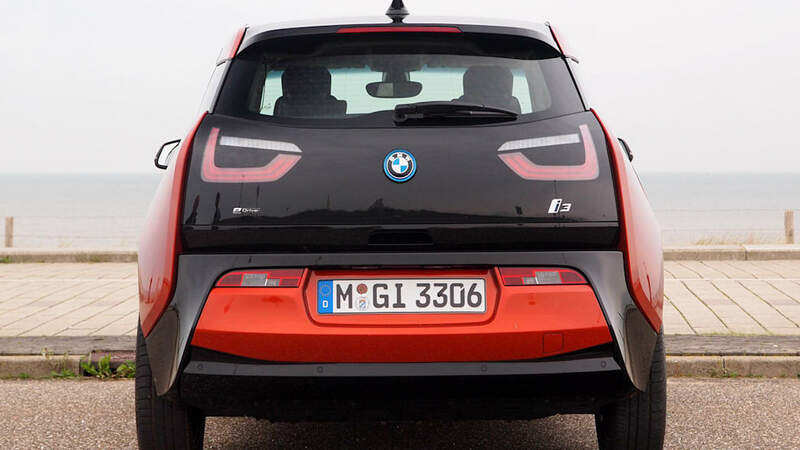 The i3's least appealing view is from the rear, where a mess of angles and curves meet up and try to start something. 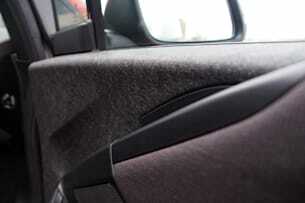 This jumble of lines is carried on in the dash, where smooth, curved wood plays with the right angles of the screens. Inside it works, outside it doesn't. 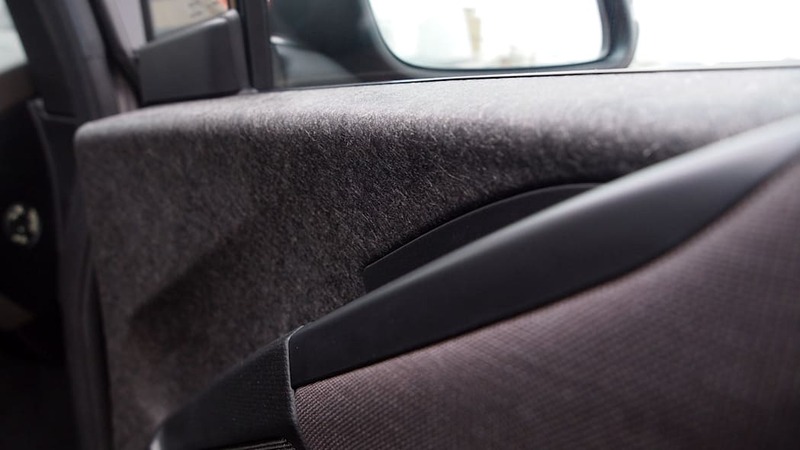 The interior door panels, too, have a lot going on, with some exposed fiber-based material sitting next to the pleasant fabrics. 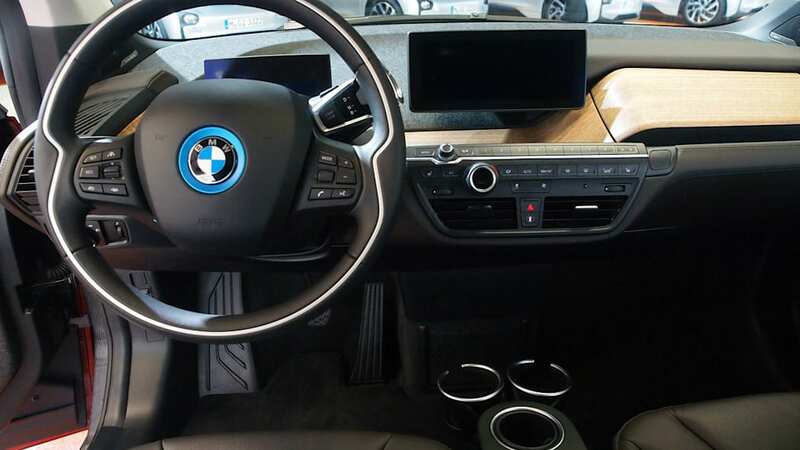 We were not big fans of where the on/off button is located, on the back side of the steering wheel, but assume i3 buyers will get used to it. 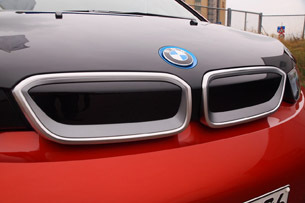 In our short time with the i3, we never did. 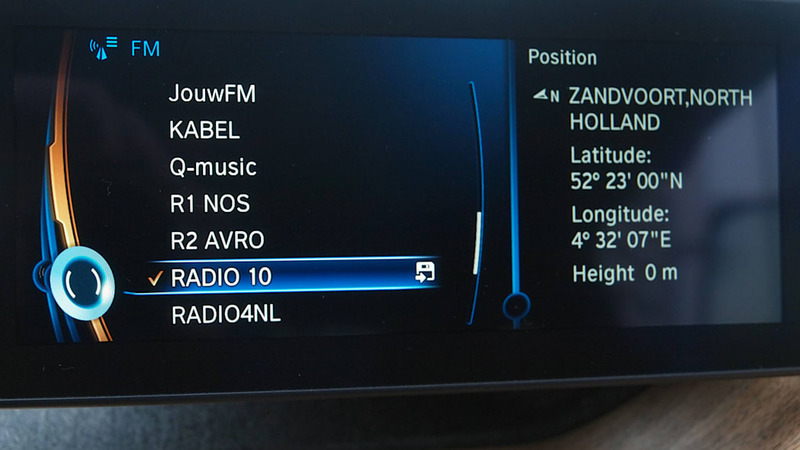 BMW's iDrive remains somewhat difficult to use, but the i3 version is better than previous implementations. The response time is quick, but we did have a hard time figuring out where exactly to click for various settings and items. 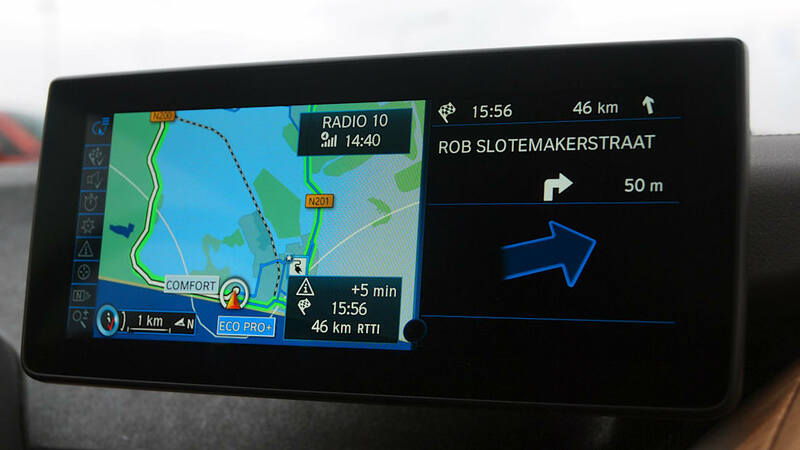 While the nav system expertly guided us through some complicated Dutch back roads, the soothing voice that alerted us to upcoming turns was a bit ambitious, announcing them far too early. 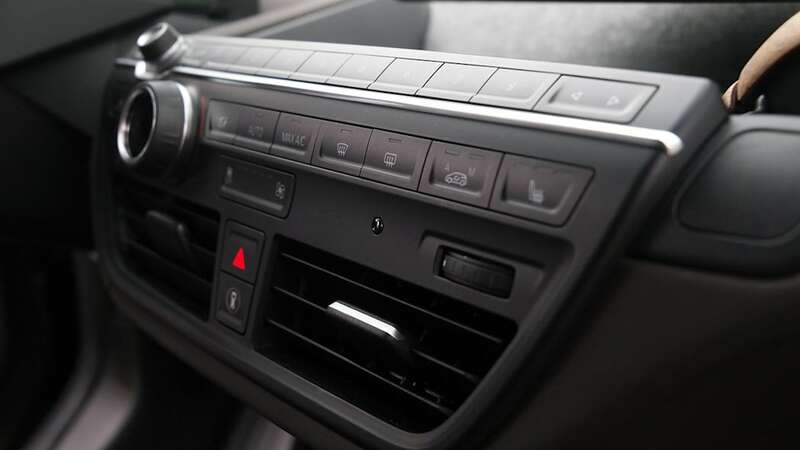 The rest of the infotainment system is thoroughly modern (there is no CD player to be found, but there are USB and Aux-In jacks), and a camera and GPS system keep track of the current speed limit and display it right next to the speedometer. 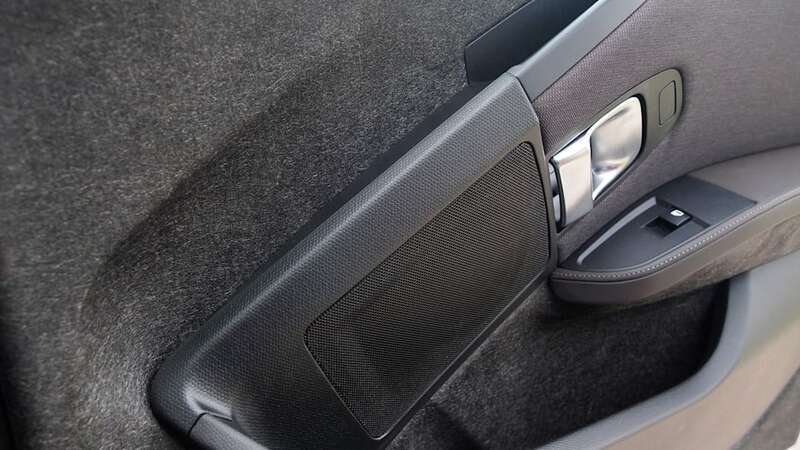 There is a central dip in the dash that becomes a practical place to put your phone when driving, and would be an excellent place to put a wireless charging mat. Speaking of smartphones, the nav system has a nifty "intermodal transportation" feature that can, on top of simply calculating driving directions, offer you train schedules, directions to the station and walking routes to get you to your destination on time, with the ability to send the information to your phone. This is what it looks like what an automaker starts to become a mobility company. There is a case to be made that BMW has simply made the world's nicest Nissan Leaf. 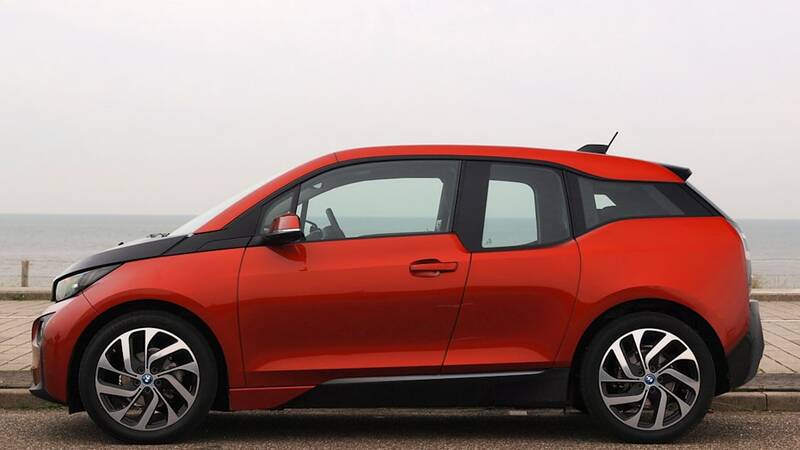 Based on range, fit and finish and other basic parameters, there is a case to be made that BMW has simply made the world's nicest Nissan Leaf. 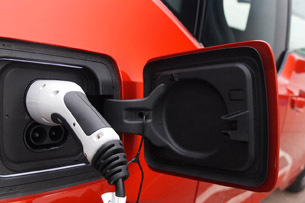 We think that's unfair, but it is true that BMW is not really pushing the EV boundary here. One of the reasons the Fiat 500e is so much fun to drive is that it operates almost exactly like a "normal" gas-powered 500, it's just quicker off the line. 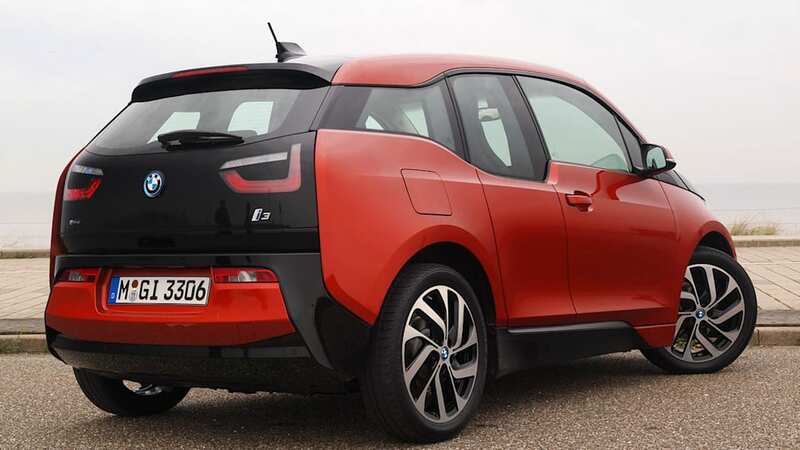 The i3 doesn't have a counterpart in the BMW stable, but it's not trying to be an electric 1 Series M. No, the i3's reach is something far, far greater. 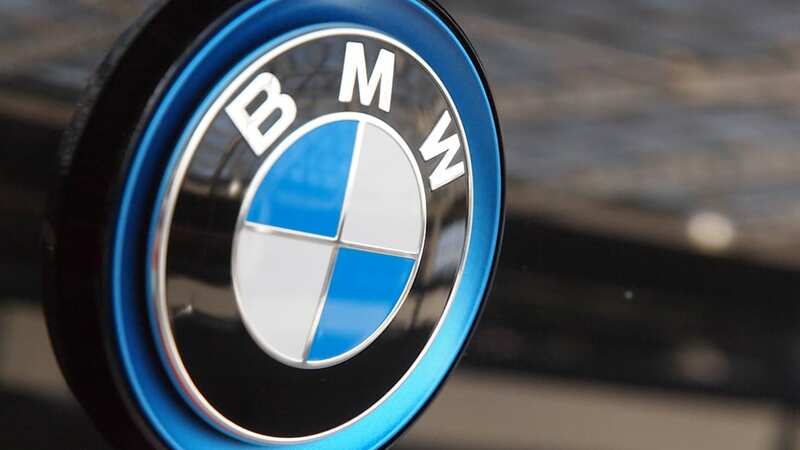 This was explained to us by Astrid Biem, of BMW corporate communications. 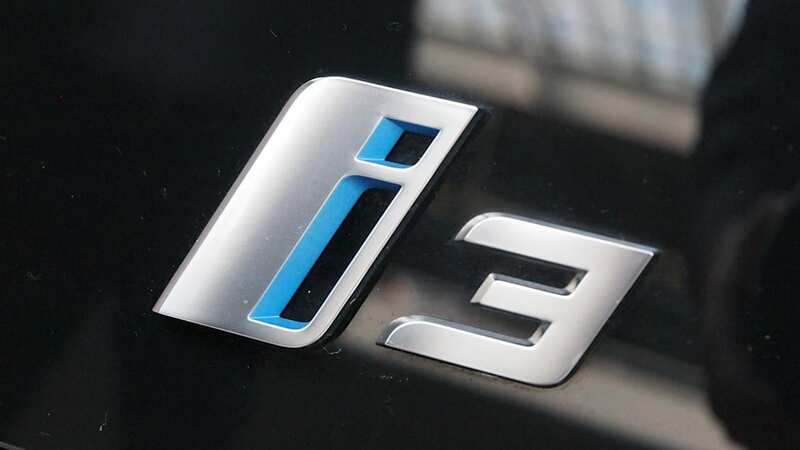 Remember that the 'i' in i3 symbolizes a new BMW sub-brand, and Biem said BMW thinks it will help the company "approach customers who are not interested in BMW, yet." 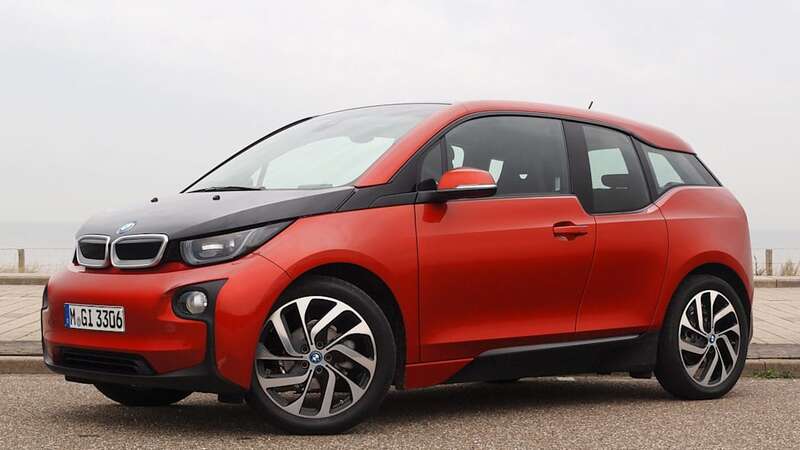 The i3 is targeted at buyers who see "the other side of the status symbol, the side of sustainability," she said, "and sustainability is the next premium." 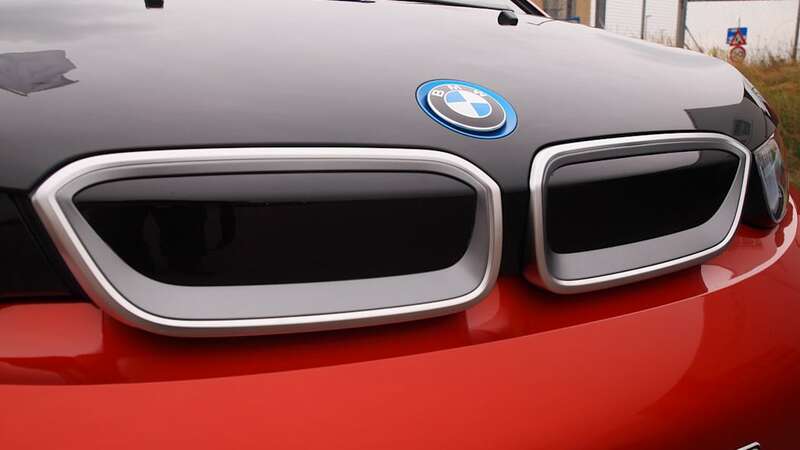 In fact, the idea to expand what the BMW brand can mean was made years before the engineers started work on the i3, all the way back in 2007. She pointed out that BMW sells 1.8 million cars per year. If they sell 15,000 i3s, that's great for now. 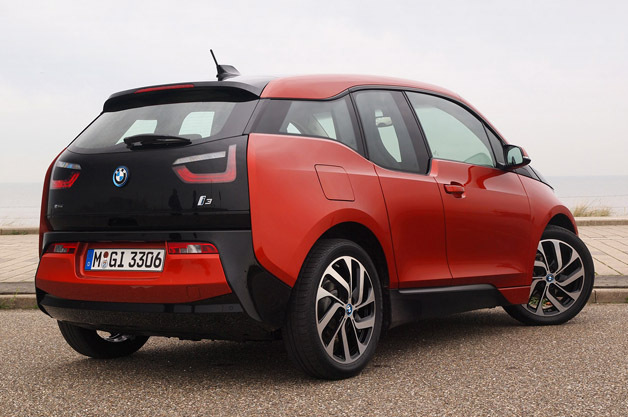 After all, the i3 (and its i8 sports car cousin) will almost surely not be the last i project vehicles. There is a shift happening inside the company, and the i project is its public face. If you need a soundbite to sum it all up, Biem is happy to oblige: "Mobility is not just driving a car." 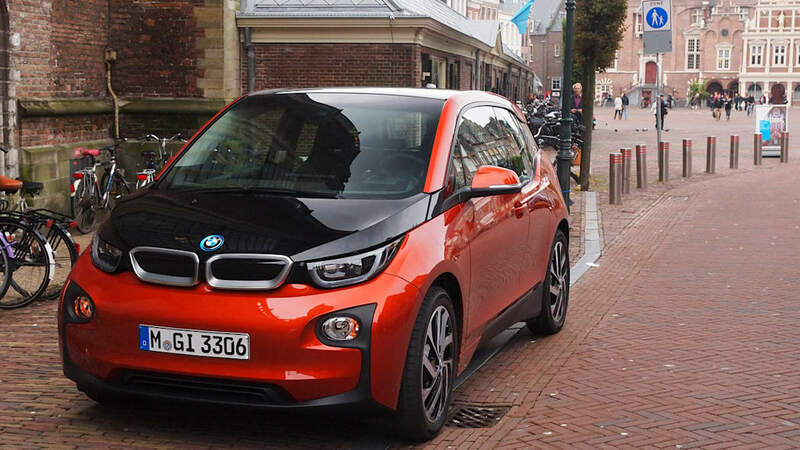 With the i3, BMW isn't really trying to change what a city EV is. It's trying to change what BMW stands for. 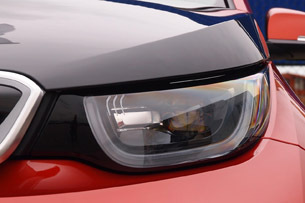 The i3's front end distills this attempt into two simple shapes: BMW's iconic two-kidney "grille," but in this case the actual air inlets are nowhere to be found. 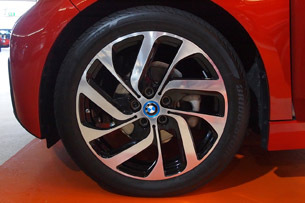 The shape is all for show, a way to say, "Hey I'm a BMW, too." Is it? You tell us.